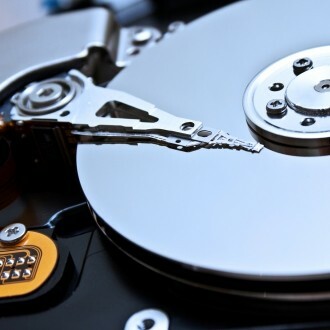 A new report from IHS iSuppli says that mechanical hard drive prices are not expected to return to pre-flood pricing until 2014 despite a rapid recovery process that is in full swing. Hard drive prices skyrocketed following the October 2011 floods that damaged Seagate and Western Digital production plants in the area. Costs jumped 28 percent from the third quarter to the fourth quarter last year as shipments fell 29 percent. Pricing held steady at $66 in Q1 2012 while analysts predict asking prices will decline marginally to $65 in the second quarter. The report notes that shipments increased by 18 percent to 145 million in the first quarter and another 10 percent to 159 million in the second. Furthermore, another 10 percent increase to 173 million is expected in Q3 but prices will likely continue to remain inflated. PC sales are expected to climb throughout the rest of 2012 which means more hard drives will be needed. Ivy Bridge and the emergence of third generation Ultrabooks in the coming months as well as Microsoft’s release of Windows 8 later this year are key forces driving the demand. As such, multiple OEMs have signed long-term agreements with hard drive makers to guarantee shipments and lock in pricing that is only 20 percent higher than pre-flood levels. With solid state drive pricing continuing to drop and performance on the rise, now might be as good a time as any to jump on that bandwagon if you are building a new system or simply desire a significant speed boost from your current notebook or deskop.